The 76-year-old Cardinal Jorge Mario Bergoglio of Argentina has been elected as the new Pope, will be known as Pope Francis, the 266th pontiff of the Roman Catholic Church. 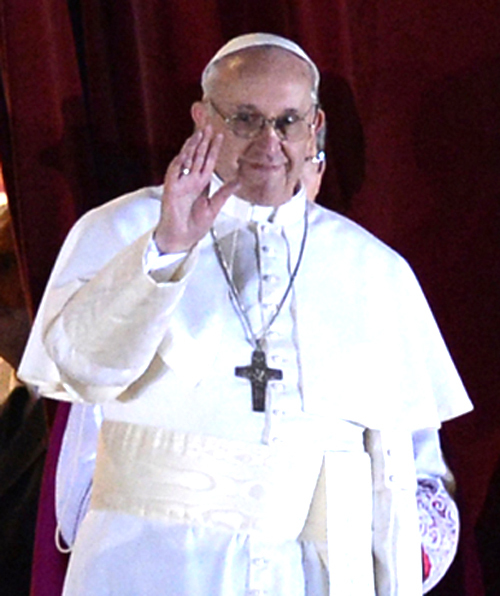 He is also the first non-European pope in more than 1,200 years and the first member of the Jesuit order to lead the church. who served as the archbishop of Buenos Aires, is the first pope to take the name in honor of St. Francis of Assisi, revered among Catholics for his work with the poor. St. Francis is viewed as a reformer of the church, answering God's call to "repair my church in ruins."